H.A.D. are extremely luck and grateful and lucky to have received a grant from the National Lottery for our ‘Growing Herbs & Happiness’ Gardening Project. 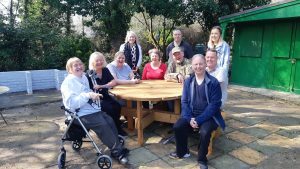 We used part of this part to be much need accessible seating so our visitors, clients, staff and volunteers and enjoy the garden, together. 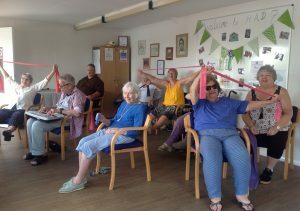 Wednesday Art Group members posing for the photographer from the Recorder! 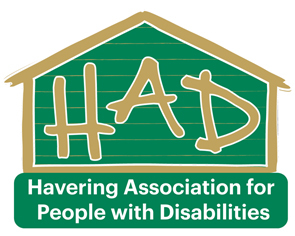 Accessibility Audit of Havering Association for People with Disabilities. 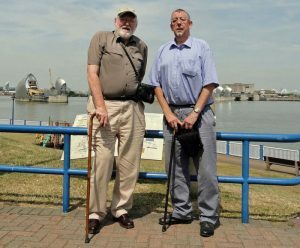 Havering Association for People with Disabilities has recently achieved the Trusted Charity Mark award recognising the excellent work it does as a third sector organisation in England/Wales/Scotland/Ireland. 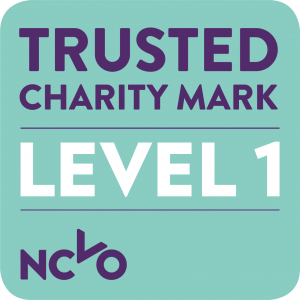 Trusted Charity is part of the National Council for Voluntary Organisations (NCVO) and is the only UK quality standard designed to help third sector organisations operate more effectively and efficiently. 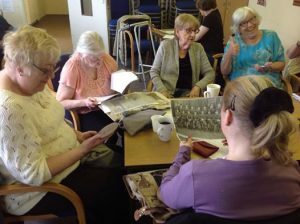 We were was assessed against the 11 standards of effective practice in Trusted Charity, including in governance, leadership and management, managing staff and volunteers and managing money, and proved to meet all standards. 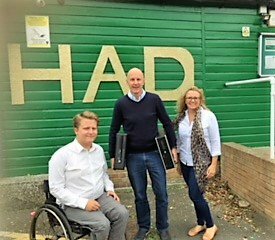 [Nadeem Razvi, Trusted Charity Programme Manager, NCVO] said “We are delighted for the trustees, staff and volunteers of H.A.D. that they have achieved the Trusted Charity Mark. We know that organisations using the Trusted Charity standard benefit by having better governance, better systems and procedures and better quality of services for their users and it is great that the community of Trusted Charity users in England/Wales/Scotland/Ireland is growing”. Thank you to everyone who supported H.A.D. throughout 2018 and helping us to thrive. 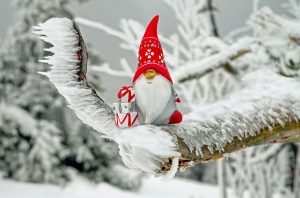 Its been an extremely busy year with staff changes, refurbishments, funding changes, new staff, new roles and decorations. We are also excited to announce we have been award PQASSO which is a quality and credibility mark of an organisation. We could not have achieved this without a wide range of supporters and we would like to thank them all. 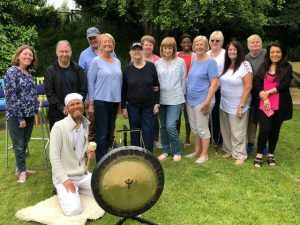 Our hardworking volunteers who help organise events, support the office, keep the garden looking beautiful, our board of trustees to those who volunteer as tutors. If you are interested in volunteering with us then pop along to our volunteering event. Most importantly our amazing clients who support us in attending our cent re, fundraise and whose energy and ideas helps keep our services fresh and relevant. The generous donations we receive from schools, individuals and local business (to name but a few). All the Local Businesses who put their resources and time into a supporting a local charity. 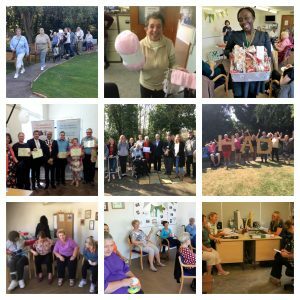 All the other amazing and hard working charities within the borough who do amazing work to support the residents of the borough through a wide range of services. It is a pleasure to work with you all. This year we have been lucky to have Helena, a Student Social Worker on placement with HAD and she lights up the room working hard to support our services in any way she can. All the #2018in2018 challengers its been fun to watch your FUNraising . 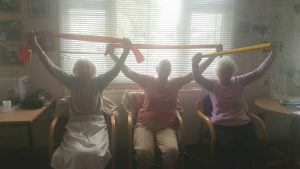 The LB of Havering for providing funding to enable us to provide Peer Support & Social Inclusion Projects. Next year is an important year for H.A.D. as we reach 50 years and we would love to make this year extremely special, make sure you are signed up to our newsletter to hear about all the exciting events.